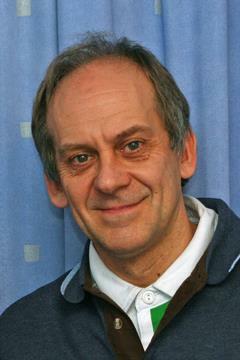 Hi, I’m Barry and I was diagnosed with cancer of the oesophagus in 2010. I thought I was one of a kind as I’d never even heard of this type of cancer before but apparently it’s the 9th most common cancer in the UK, and unluckily for me, it’s more common in men. I first noticed something was wrong around Christmas 2009, food was starting to get stuck when I ate, I didn’t think much of it at first but when it started happening more frequently in the New Year I decided to get myself checked, better to be safe than sorry! I went for a number of investigations and was diagnosed with cancer of the oesophagus after having an endoscopy, in simple terms; this was a camera down my gullet. I went in for my operation in June 2010 which meant my 50th birthday was celebrated in hospital, it wouldn’t have been my first choice but obviously health comes first. The staff at the hospital were wonderful and they made a big fuss of me on my big day, I just remember sailing through those 8 days in hospital because of all the fantastic support around me. It was 13 weeks from diagnosis to having the operation and it was like a roller coaster. One thing me and my wife, Anita, decided not to do was look at the internet, a lot of the information on there can be very misleading and in many cases, extremely scary. Instead we listened to the help and advice from the experts and made sure we understood all about my treatment journey before we told our family and friends. Coming back home was a difficult time for both me and Anita, I had no energy and struggled with tasks I used to complete easily. I was worried about the amount of pressure I was putting on Anita but her GP was very involved in making sure she was also ok and had all the support she needed, which was a fantastic help. Anita has also joined the local carers association as a result of my illness and the time she spent looking after me. She’s now able to take part in lots of activities and opportunities that are made available through them, her favourite one seems to be the flower arranging courses; we’ve always got lots of flowers making the house look more colourful! I’ve also become a very active member of the local Oesophageal patients group called “Little and Often”. It’s great because I can see other people who are at different stages of the treatment and recovery process to me, so I can give advice and also listen to others. I also keep myself busy by being the North West representative for the National Oesophageal Patients Association (opanw1@virginmedia.com), as well as being a patient representative with the partnership group at the Merseyside and Cheshire Cancer Network. I feel like I owe it to the hospital to give something back, so once a fortnight I become a patient volunteer and visit the ward where I stayed after my operation to talk to patients who are going through the same process as I did. * We want people to have that comfort factor and want others to have the same positive experience that we had. * We want to make a difference and give something back. * Sometimes it’s the little things that have the greatest impact - for example – a simple follow up call from a patient after his operation saying that it went well and thanking me for the support, means so much. * Cancer is not life changing – just life altering – you have to alter the way you do things sometimes just so that you can rest, or to let the food go down. * Join a support group – it makes you realise you are not alone. * Don’t take the easy option and give up – a positive attitude with cancer is a good thing – Cancer can’t cope with a positive attitude. * In 2009, 8,161 people in the UK were diagnosed with oesophageal cancer. * In 2005-2009, around 13% of people in England survived their oesophageal cancer for five years or more. * Tobacco and alcohol, acting independently and together, are the main risk factors for oesophageal cancer. * I’ve become a very active member of the local Oesophageal patients group called “Little and Often”. It’s great because I can see other people who are at different stages of the treatment and recovery process to me, so I can give advice and also listen to others.